Augmented Reality (AR) is a digital medium that presents information about users’ surroundings on devices such as smartphones, tablets, and smartglasses. The Merriam-Webster dictionary defines AR as both “an enhanced version of reality created by the use of technology to overlay digital information on an image of something being viewed through a device (such as a smartphone camera),” as well as the technology for creating AR. Although Virtual Reality and Augmented Reality have similar names, the two media are generally distinguished from one another based on the user experience. While Virtual Reality creates an immersive reality that replaces the user’s surroundings with digital data, Augmented Reality lets the user see and/or hear digital content about the surrounding environment while still perceiving that environment. Not everyone, however, agrees on how to define Augmented Reality, particularly in comparison with other forms of digital representations. To determine when to deliver AR content to a user, AR software relies on triggers such as visual targets (or “markers”) and geographical locations. Some AR software require the user to point a device camera at an image marker, then the software displays an “overlay” with the AR content. Location-based AR, such as Pokémon GO, uses a player’s phone or tablet GPS location to determine when and where to display AR content, such as Pokémon and other features. Although Augmented Reality technology has existed for decades, it has increased in recent years as a result of hardware improvements in cameras and displays, and the rise of mobile technologies, like smartphones and tablets, as well as Global Positioning Satellites. With millions of users, Pokémon Go! is probably the most popular AR app to date. 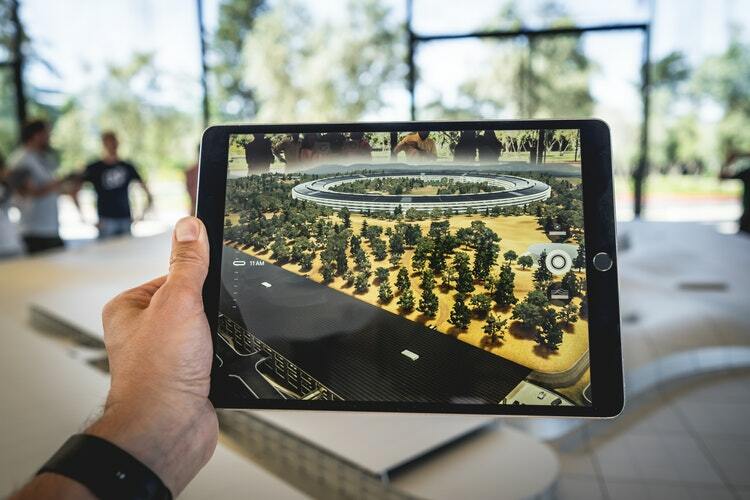 With evolving software and hardware, it’s interesting to consider where AR will go next.